Leave a review for IonPro Air Iron! Ion Pro® Air Iron filters prevent iron and manganese stains on your plumbing and fixtures. Improve the look of clothing after washing, preserve the life of your fixtures and appliances, and rest assured that WaterCare®'s whole house filtration systems bring the highest quality water to you and your family. 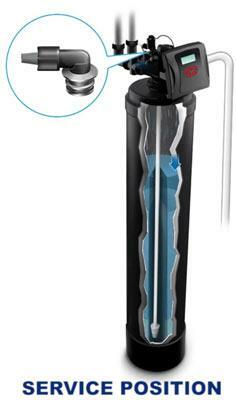 To learn more about the Ion Pro Air Iron Water Filter, find your local dealer today! 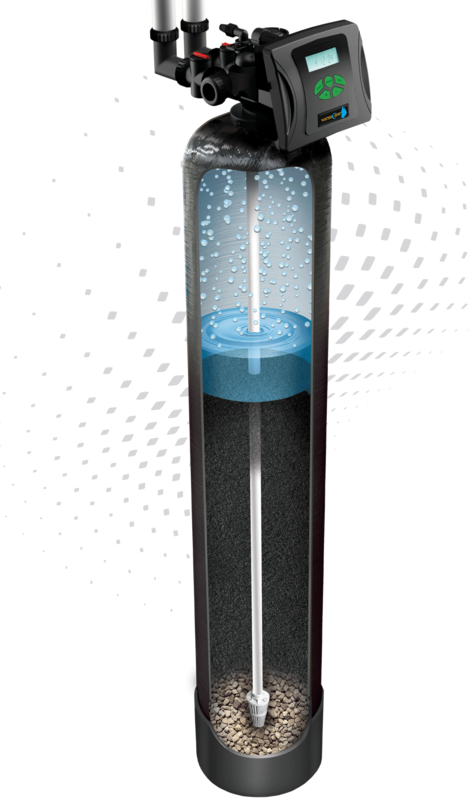 The Ion Pro® Air Iron filter was designed to eliminate iron and manganese from your water, reducing staining on pipes and fixtures. The air filter transports untreated water through an inlet and down into an air dome to oxidize and precipitate sulfur and other impurities. 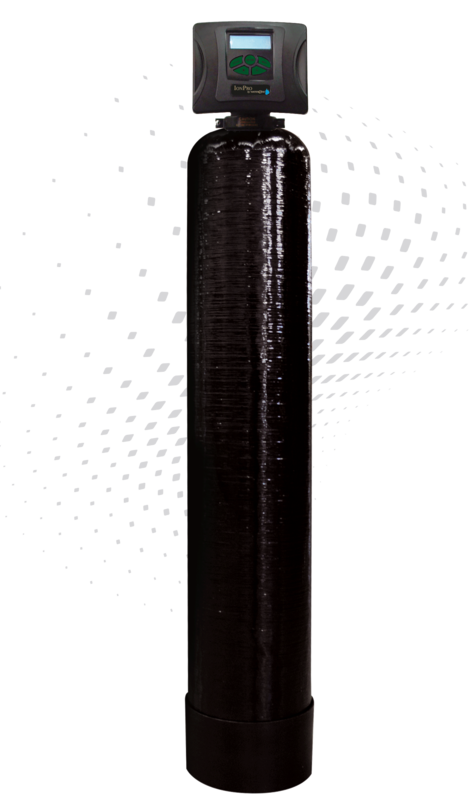 Next is the start of the regeneration process, where water flows slowly through a valve, releasing captured air. In the backwash stage, undesirable particles drain harmlessly from your unit. Finally, air is drawn back into the tank to replenish the air used during oxidation. Gently releases air when valve advances to backwash.